Larger than most, and lots more fun—this supersize patriotic pinwheel offers style with whirling, twirling stars and stripes! Designed in strong, weatherproof plastic for years of durable use, each Fourth of July pinwheel includes stake for easy placement in your lawn or garden. Set of 2. 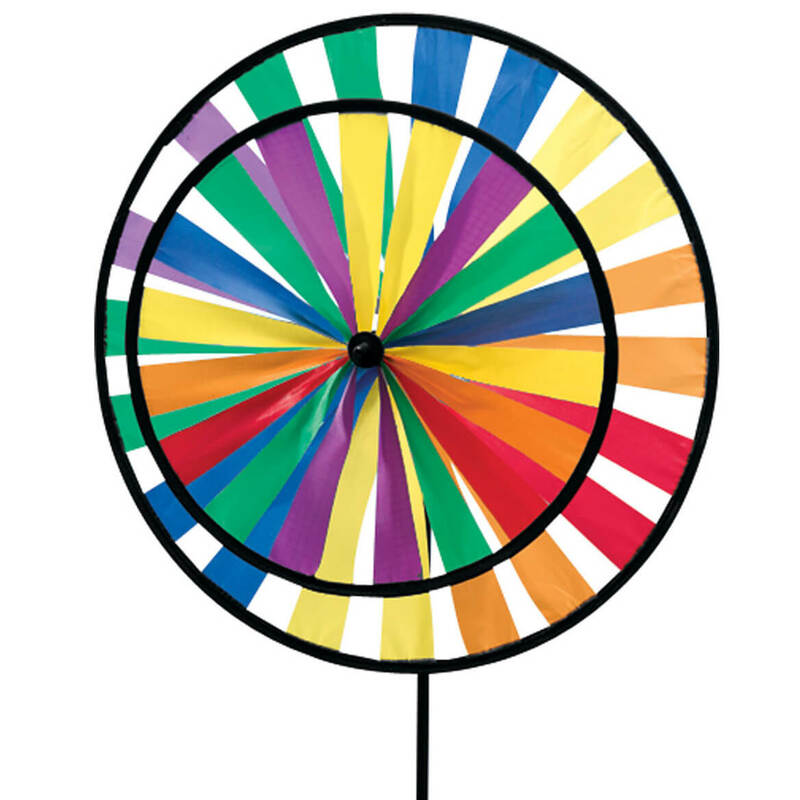 Each American flag pinwheel measures 8 1/2″ diameter x 22″ high. Three times the color, three times the fun! 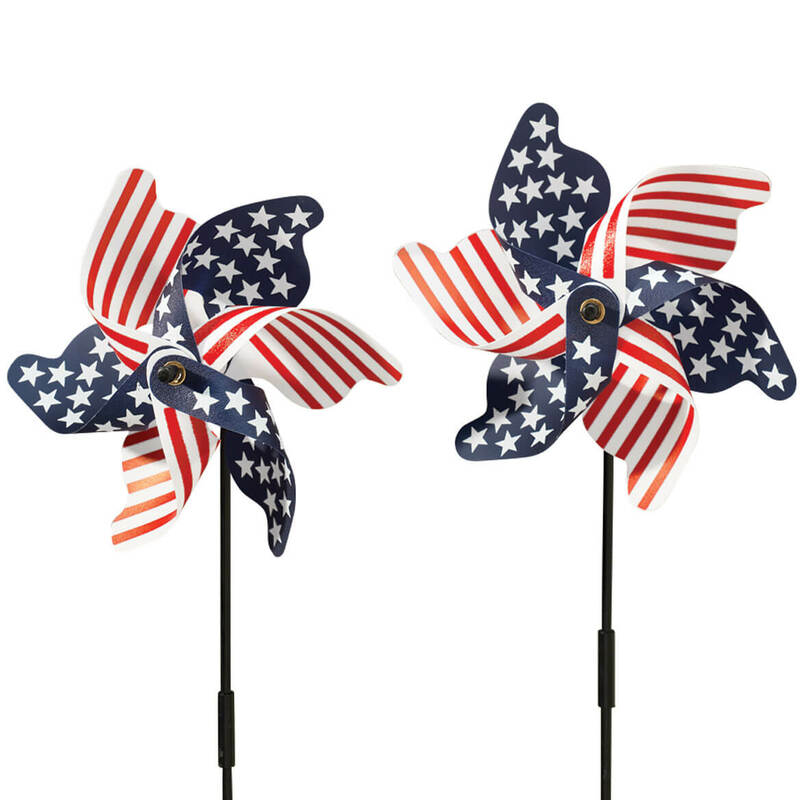 Our triple pinwheel patriotic wind spinner outshines ordinary pinwheels with a dazzling display of red, white and blue that spins randomly in the wind. Polyester and plastic; easy assembly. 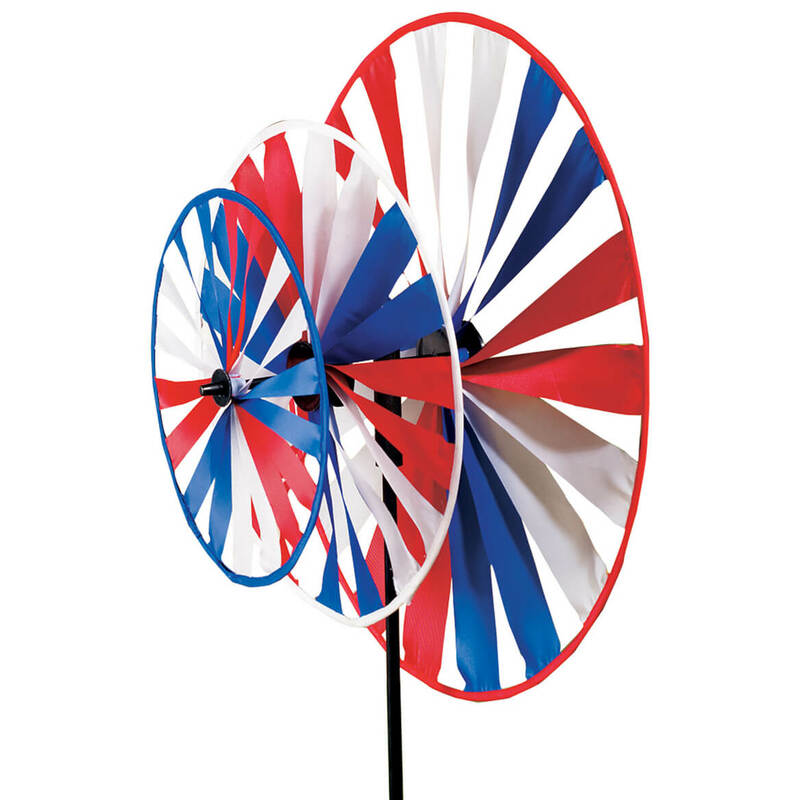 American flag wind spinner has three wheels: 9″, 12 1/4″, and 15″. Our patriotic flag windsock provides waves of brilliant color for your porch or balcony. 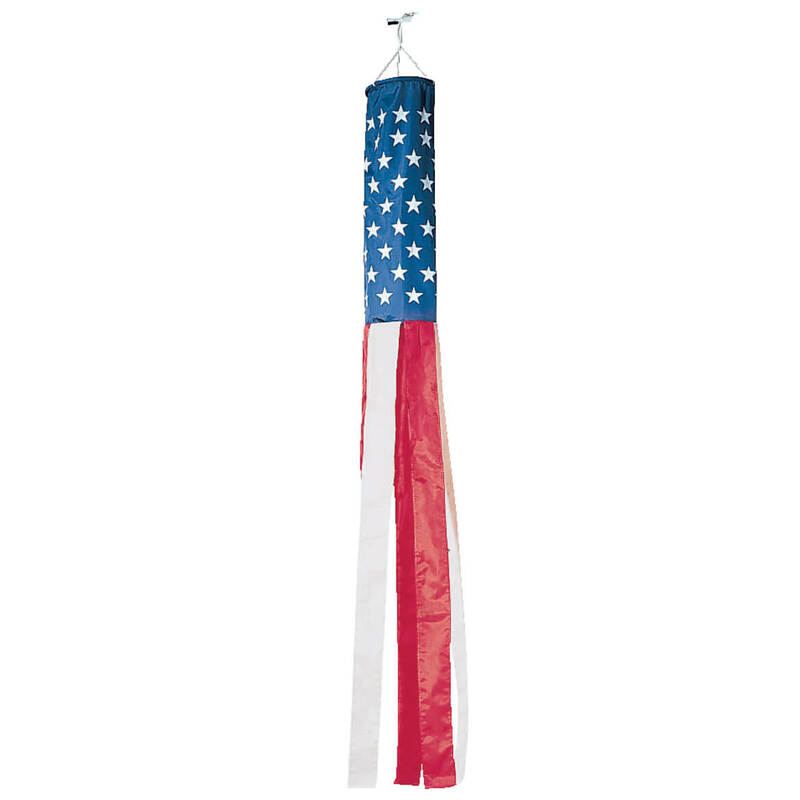 Show your stars and stripes pride with our patriotic windsock (60″ Long). This American flag windsock is made from weather resistant nylon and features a white nylon cord and metal hook for hanging. With two bright pinwheels twirling in the breeze, our rainbow pinwheel spinner creates a kaleidoscope of dazzling, mesmerizing motion! Crafted of durable, weatherproof polyester, pinwheel spinner stakes in the ground for instant fun; disassembles for easy storage. 11″ diameter and 15″ diameter wheels; 35″ high with stake. Rainbow windsock adds brilliant bursts of color for your porch, balcony, or tree. 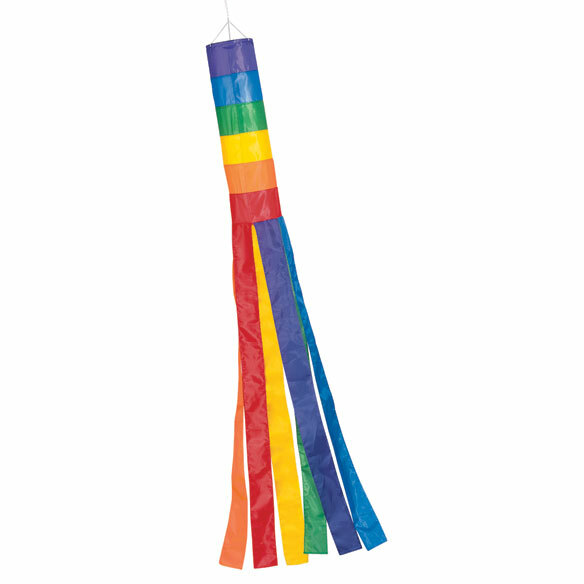 Our decorative windsock welcomes the summer with the bright colors of a rainbow. 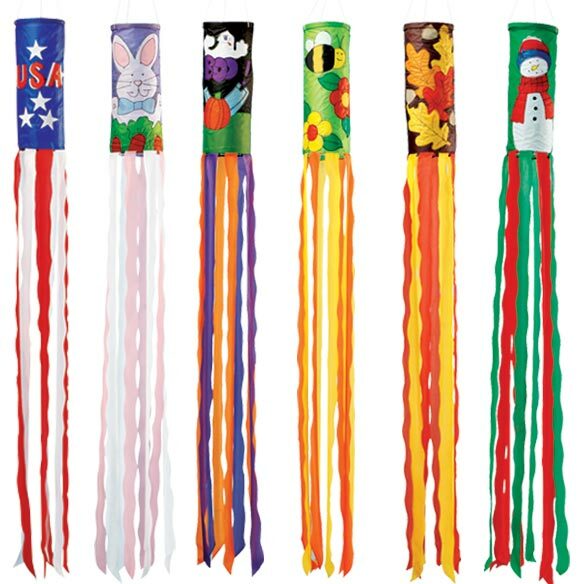 Weather-resistant, imported nylon windsocks have white nylon cord, metal hanging hook. 60″ long. Cardinal windsock provides brilliant bursts of color for your porch, balcony, or tree! Our bird windsock displays the dazzling red of a cardinal. Weather-resistant, imported nylon windsocks have white nylon cord, metal hanging hook. 60″ long. Soaking up sunlight while twirling in the breeze, our Solar Color-Changing Pinwheel glows in changing colors at night! Offering wind-powered motion and sun-powered light, it’s a delight for any yard or garden in bright, primary colors. Crafted for durable weatherproof beauty, the color-changing solar light features an on/off switch and rechargeable AA battery. Simply stake it in the ground with solar panel exposed to sunlight, and enjoy! Plastic, polyester, stainless steel, electrical components. Easy assembly. 38″ high x 12″ dia. Crafted for durable weatherproof beauty; On/off switch and rechargeable AA battery; Plastic, polyester, stainless steel, electrical components; Easy assembly; 38″ high x 12″ dia. 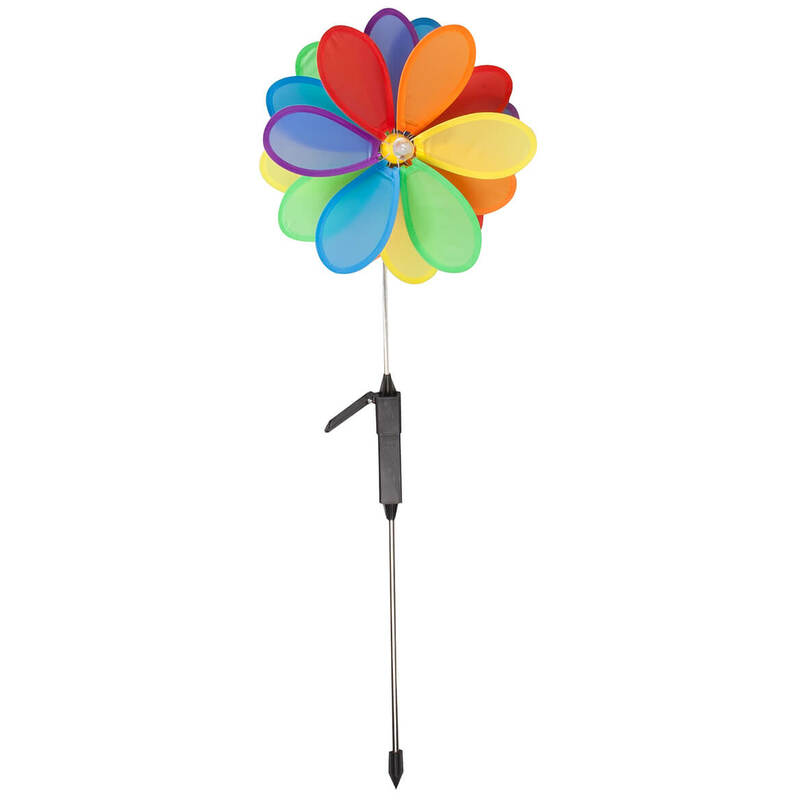 Add color and motion to any setting with colorful flower wind spinners that whirl and twirl in the breeze! 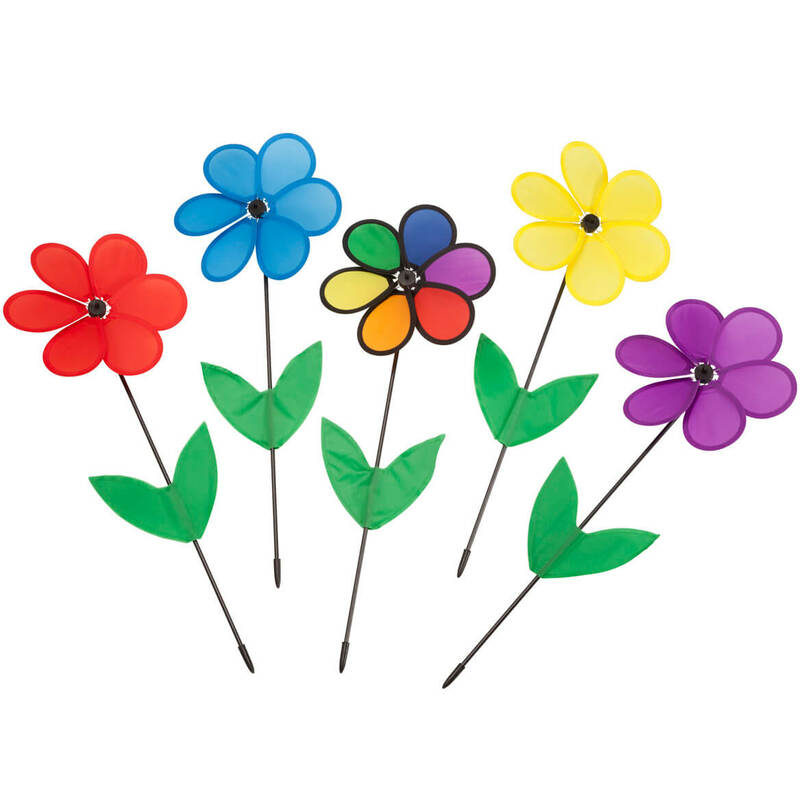 Designed in bright, weatherproof nylon, each flower assembles easily to plastic stake, then ìplantsî in the ground for wind-spinning fun. Set of 5 includes red, yellow, purple, multi-color and blue flowers. Each, 25″ long x 9″ wide. 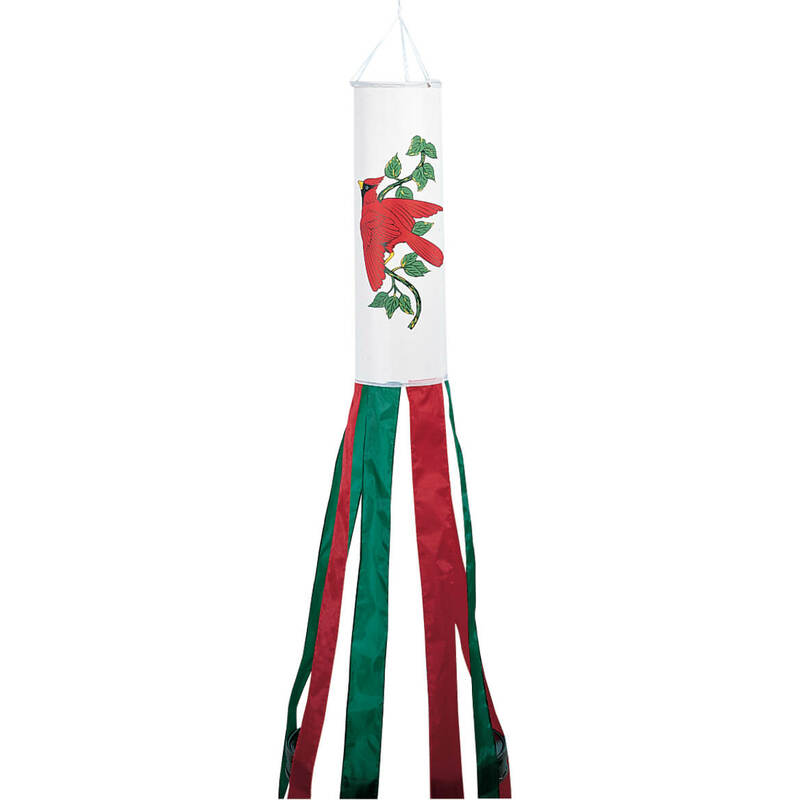 Celebrate a year’s worth of holidays with our festive holiday windsocks! 62″ long outdoor windsock flags are crafted of weather-resistant polyester, featuring wind-loving streamers and metal hanging hook. Set of 6. 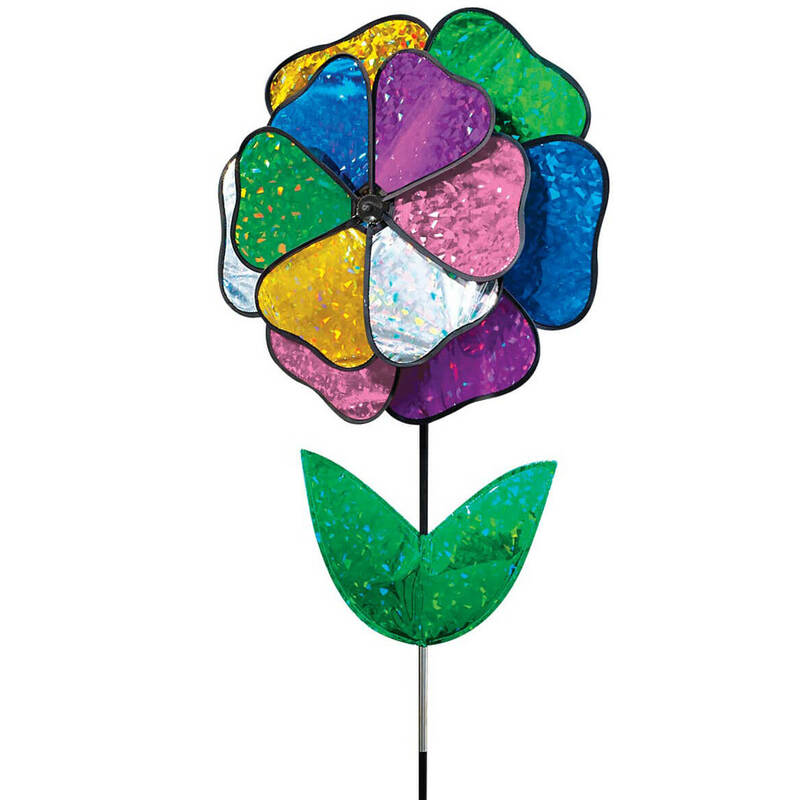 Bright and beautiful – our dazzling holographic flower spinner puts on a spectacular garden show all season long! With two rings of glittery holographic “petals,” this piece of flower yard art spins in the wind, with colors catching the sunlight for amazing display. The garden flower decoration is made of plastic and has a fiberglass stake. Our holographic yard art measures 16″ wide x 38″ high x 4 1/2″ deep.